Jewish Humor Central: The Real Story of Mordecai and Esther - As Told by Satiric Israeli TV Show "The Jews are Coming"
The Real Story of Mordecai and Esther - As Told by Satiric Israeli TV Show "The Jews are Coming"
So you think you know the Purim story of Mordecai and Esther? Think again. 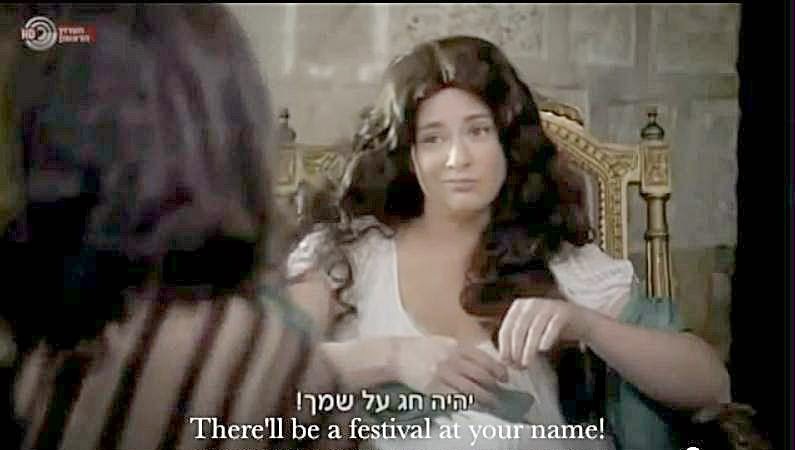 Here's the episode in Hebrew with English subtitles so you can see what really went on when Mordecai told Esther about his plan to save the Jews of Persia by entering her into a beauty contest so she could become Ahasuerus' new queen. We plan to bring you other episodes as soon as they are released with English subtitles.